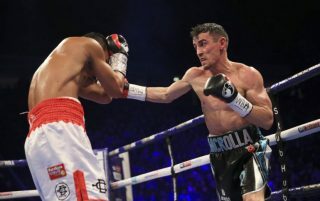 Former WBA World Lightweight Champion Anthony Crolla has been speaking to RedArmyBet about how he has been enjoying life as part of Ole Gunnar Solskaer’s Army. Crolla held the WBA lightweight title from 2015 to 2016, as well as the British lightweight title from 2011 to 2012. 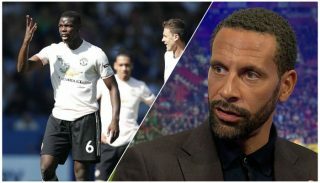 While he is known as boxing royalty to many, Crolla is a familiar face to United fans who go to games home and away, and that leads to them following his fights closer than others. His fans may be off to New York shortly for his shot against World Champion Vasyl Lomanchenko, who is ranked pound-for-pound as the best fight on the planet by many experts. Speaking exclusively to RedArmyBet, Crolla opened up about being on the march with Ole’s Army: “As a United fan, we can’t help but get a bit excited,” he said. 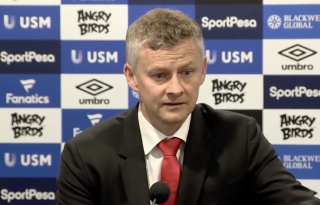 “Five of the wins under Solskjaer haven’t been against great teams, but it’s the way we’re playing. 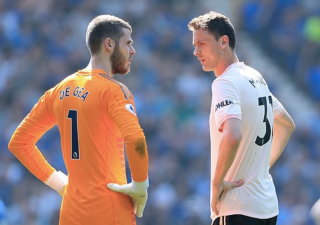 It’s the kind of football we want to see, we’ve missed that since Fergie’s gone. Crolla was also asked about a title shot, to which he replied: “Bob Arum in a press conference the other day spoke about Vasyl Lomachenko and bringing him over to Manchester in the summer but hopefully it’ll be before that. I don’t know what the situation is with him fighting the winner of the Commey/Chaniev fight. On April the 12th, I think he’s got a date booked for Madison Square Garden. “I’m mandatory title challenger for his WBA belt so I’ll just have to see wait and see what’s happening. At the minute I’m just playing the waiting game. I’m ticking over in the gym, so when that date does come, I will be ready. “I’m happy to fight him anywhere, I think there’s a lot of other people who would rather I fight him in New York! There’s a lot of people who follow my fights who want the away trip! If I am in the opposite corner on April the 12th then I’m sure there will be a lot of happy people. For me it’s certainly one off the bucket list to fight at Madison Square Garden, it’s one of the Meccas of boxing, with all the history behind it. I saw the Cotto/Margarito II fight there, that’s right up there with one of the best atmospheres I’ve ever been in. It is a remarkable achievement for Crolla to still be in the ring fighting, never mind attracting potential interest from the likes of Lomachenko. In 2015, his WBA lightweight title bout with Richar Abril was cancelled after Crolla suffered a broken ankle and a fractured skull while trying to prevent a burglary. He showed a degree decency by intervening while two burglars entered a neighbour’s house. He was sadly attacked by one of the intruders with a lump of concrete. But Crolla has since bounced back not allowing anything get in his way. Read the full Anthony Cross interview at RedArmyBet.